"perfect tool to schedule meetings within the slack channels"
meeting bot syncs with the google calendars and knows when everyone is available. It lets us schedule the meetings without leaving the chat window and make sure everyone is available via various availability options. Meeting bot also sends invitation to respective team members or to everyone in the channel to when a time is selected to schedule a meeting. there should be more options such as setting up of meeting agenda. also attaching a file and location while sending a meeting invitation would be a great option to have. As of now, we have to manually set the agenda and location and send the updated invitation to the meeting members. meeting bot is a great tool to schedule meetings while you are in a middle of conversation in a particular slack channel. It will save your time and your colleagues time while checking everyone's availability across calendars and scheduling meetings. It is a must have app in your slack. Meeting bot saves a lot of time when we want to quickly schedule a meeting between our co workers and friends. At any point of time, we can add meeting bot app in our channel and schedule meetings between some team members of the channel or with the entire channel by using @meetingbot and selecting the time which is available to all of the meeting members. This also make sure that it sends the invitation to the correct team member as many of the co-workers or friends share the same first name and this will eliminate such confusion while manually typing the email address and sending the invitation. Meeting bot allows you to sync with your Google calendars and is able to tell you when people within your company are avalible. You're able to schedule meetings within the Slack conversation and make sure each person is avaliable to meet. It will also send invitations to team members within Slack once an meeting time has been selected. Attaching a file and location when you send a meeting invitation would be nice. Currently you have to manually set the location and send the updated invitation to the meeting members. If you're looking for a simple tool to integrate with your businesses Slack, this is an easy way to schedule meetings without having to leave a conversation! 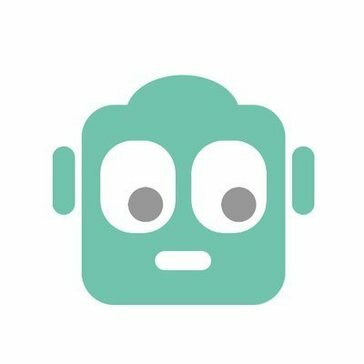 Meeting bot is an easy tool to schedule meetings while you are in a middle Slack convo. It will save your time having to check team member's calendar availability and Meeting Bot will do it for you. "AI in its best !!" Simply amazing. I use it with slack and in a few words i able to book a meeting with someone in our first free available block and with any free meeting room. Both this things are quite annoying as agendas and meeting rooms at our company are usually busy! "Innovative and Time-Saving Way to Schedule and Manage Meetings"
For what used to be a mundane and complicated task in the past, Meeting Bot now makes meeting management easy. Prior to using this program, it was difficult to make all of my employees sync together when scheduling reviews, pitches, and meetings. Now I can easy see what availabilities people have, when upcoming meetings are scheduled, and also keep people on track with reminders. This is an integration with slack, which is an additional interface that I had to learn and get accustom to. Though I mark this as a 'dislike,' it really was not difficult getting onboard with both of these platforms. Because they are seamless, using these programs is not a headache whatsoever. Coordinating meetings with co-workers. We are now more organized and time-efficient. "young smart Bot for slack"
"Great for setting up meetings and wish more people used it! " I like that it simplifies scheduling. With busy people, going back and forth to find a meeting time is annoying. It’s nice to know their schedule and plan around it. I wish more people would use it. Sometimes people do not update their calendars and/or use the features of the app when they are running late. Conflicts of schedule are easily resolved. Meeting Bot let’s me easily schedule meetings with busy coworkers. Utilizing Meeting Bot with Slack helps keep me organized, and on time! A fun and efficient tool for every office. I have no complaints about Meeting Bot! Scheduling meetings, and time management. Able to send out and schedule meetings quickly and efficiently. Doesn't always update itself immediately. You sometimes have to refresh it to see new meetings. We are now now able to quickly and efficiently schedule and run meetings. Meeting Bot meets the needs of the users. It works effectively and efficiently. The only thing I would mention is that the screen can sometimes appear busy. It is helpful that it integrates Google calendar. "Basic program, not well known"
Fairly simple, easy to use, but not well known/used. Not well known/used, pretty basic format. Easy to use meeting "space". * We monitor all Meeting Bot reviews to prevent fraudulent reviews and keep review quality high. We do not post reviews by company employees or direct competitors. Validated reviews require the user to submit a screenshot of the product containing their user ID, in order to verify a user is an actual user of the product. Hi there! Are you looking to implement a solution like Meeting Bot?